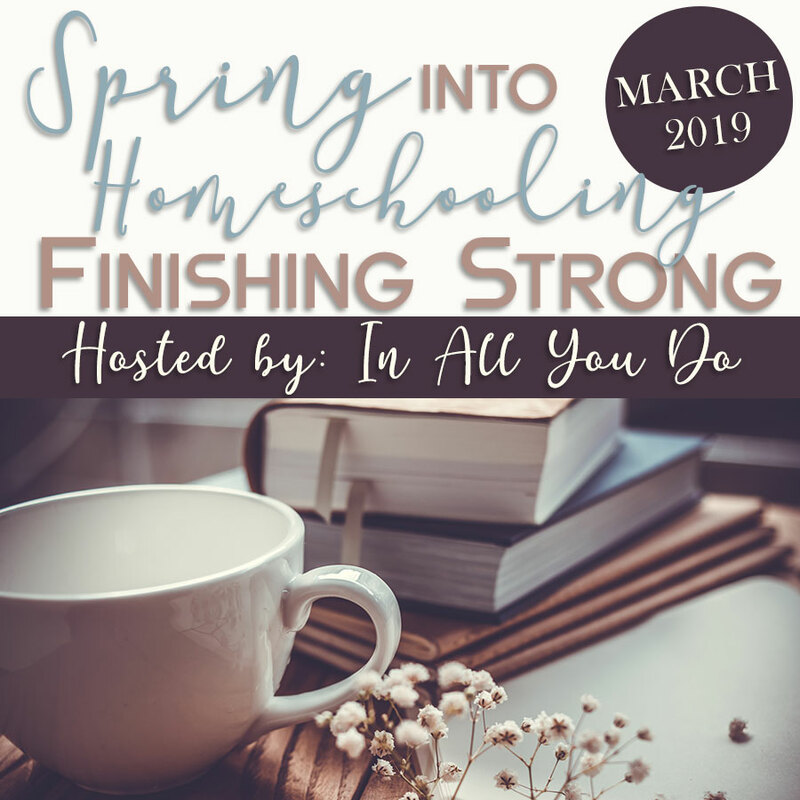 Are you looking to simplify your homeschool this year? One way is to combine subjects. One easy way to do this is with grammar notebooking! Grammar notebooking combines copy work and grammar analysis with another subject you are already doing. Your children simply copy a sentence or two from what they read and then look for particular grammar concepts. These could range from capitalization and punctuation for younger learners to finding different types of clauses and sentence diagramming for older learners. Many children wonder why they have to learn grammar, anyway! Understanding grammar is foundational to writing skills. Have you ever read a sentence that ‘just doesn’t sound right’? Maybe one your child has written? Grammar knowledge allows you to look at that sentence and figure out what is making it sound weird and then improve it. Grammar knowledge also allows one to develop more formal speaking skills that will be needed when communicating in professional situations. You save money. 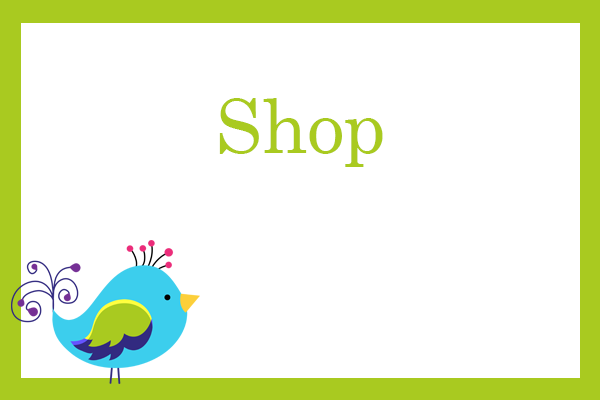 You won’t need to buy a grammar workbook or curriculum. You just need a plain notebook! Your children spend more time in their content areas. In traditional grammar curricula, your children spend time analyzing sentences that have nothing to do with anything else they are learning. In grammar notebooking, your children copy sentences from their other school books such as history, science or literature. Therefore, they spend more time studying that subject while learning grammar at the same time. Your children will practice their handwriting. 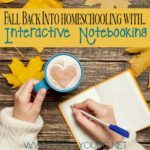 If you already are practicing handwriting through copy work in your homeschool, then you are already completing the first step in grammar notebooking. If you are not practicing copy work, this method of learning allows your children to practice their handwriting skills without having to organize thoughts like when writing original work. Your children will increase their visual memory of words. Writing a word and seeing if it looks right is a key strategy to spelling. Knowing if it looks right requires your children to have formed a visual memory of that word. When your children copy words they are attending to each individual word much more than when they are reading text. The copying of sentences therefore, helps increase your children’s visual memory and improve their spelling skills. Your children will have a list of words to using when writing. 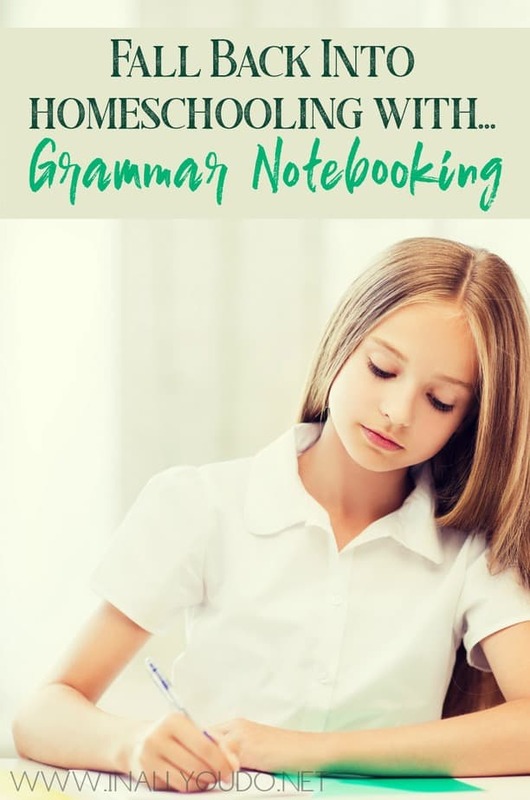 Having your child note different parts of speech during grammar notebooking will give them a list of interesting verbs, adjectives and adverbs to choose from when they need to improve their own writing. First, decide the concepts you are going to target. This may be capitalization and punctuation, parts of speech, and/or sentence structure. 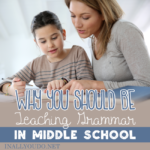 The age of your children and their knowledge of grammar will help determine where you start. 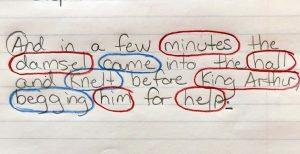 A kindergartner or first grader may start by just copying a sentence, circling the capital letter at the beginning and underlining the punctuation at the end. As this becomes easy, you may have them find the nouns in the sentence and/or the verbs. Then, you may have your child underline the subject and predicate. Eventually, you would have them find other parts of speech such as pronouns, adjectives, adverbs, and conjunctions. You may also want to incorporate vocabulary study. This could be as simple as copying an unknown word from the text, writing what you think it means and then looking it up in a dictionary and writing the actual definition. 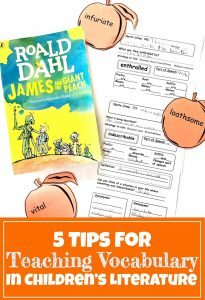 Or it could be a deeper word study as discussed in the article Five Tips for Teaching Vocabulary in Children’s Literature. Second, choose which you subject your children will copy sentences from. Maybe it is your child’s favorite subject to make it more motivating or maybe it is one they need to spend a little more time in because it is challenging. You may choose the same subject each time or you may decide to rotate through different subjects. Then, choose how often you will practice grammar notebooking. Two to four times a week is suggested. Finally, start! Have your children copy a sentence from the text and then have them analyze the target concepts you have chosen. You may need to sit and do the analysis with them the first few times until they become familiar with the process and each concept. Pick the sentence for your child. You may find that your children pick sentences that are too easy or too difficult for them to analyze. Once they have seen several times what type of sentence you pick, they may be ready to pick their own sentences, which can be more motivating. Use colored pencils. Using different colors to circle nouns vs. verbs or to underline subjects vs. predicates can make notebooking more fun. It will also make it visually easier for your children to review their work. Repeat each type of analysis until your children feel comfortable. For example, if you have your children looking for nouns, stick with this task until they can do this independently. Then, add a new task or change to another one such as looking for verbs. This will keep their frustration low and make sure they really master the concept. 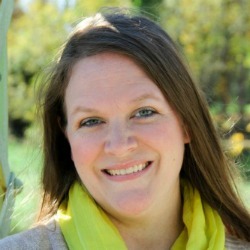 Randi blogs over at Peanut Butter Fish Lessons where she shares multi-sensory tools and strategies she uses to help build foundational skills in her two boys. 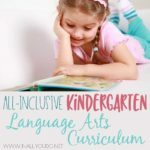 She is a former speech-language therapist and loves bringing that knowledge into homeschooling her boys who have learning challenges. You can follow her on Facebook, Instagram and Pinterest.